Bollywood and television stars leave no stone unturned when it comes to doing their job best. There are many celebrities who have made it big on the basis of their hard work. They break all constraints and stereotypes and achieve their dreams, no matter what. Such is an actress who is currently giving her best on a dance reality show. 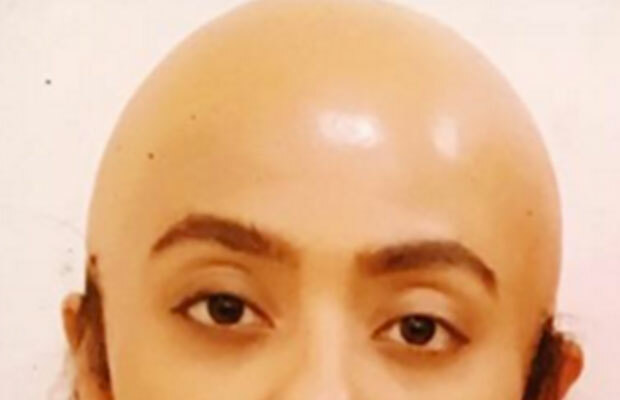 The actress went bald for her dance act and she looks absolutely amazing! Want to know who she is? CLICK NEXT! Hold on guys, the actress has surely gone bald but not in real. Bollywood actress Surveen Chawla will be seen in a very different look as “tharki buddha” for her upcoming performance with her choreographer star Sanam Johar. And yes this time it's the gender swap !! Do not miss the naughtiness of the tharki buddha and wifey urf kaam waali bai! Only on #colorstv #jhalakdikhlajaa9 This Saturday at 10 pm… cheers ! Mera pati mera parmeshwar ! Bhupppp!!! Mera pati tharki buddha!!!! Hehehe This Saturday only on Jhalak !! Watch out !